Reserva Privada is a Cabernet Sauvignon made with carefully chosen grapes that are harvested in selected vineyards located in the renowned Maipo Valley. This exclusive creation achieves a perfect balance of fruit, full body and delicacy. 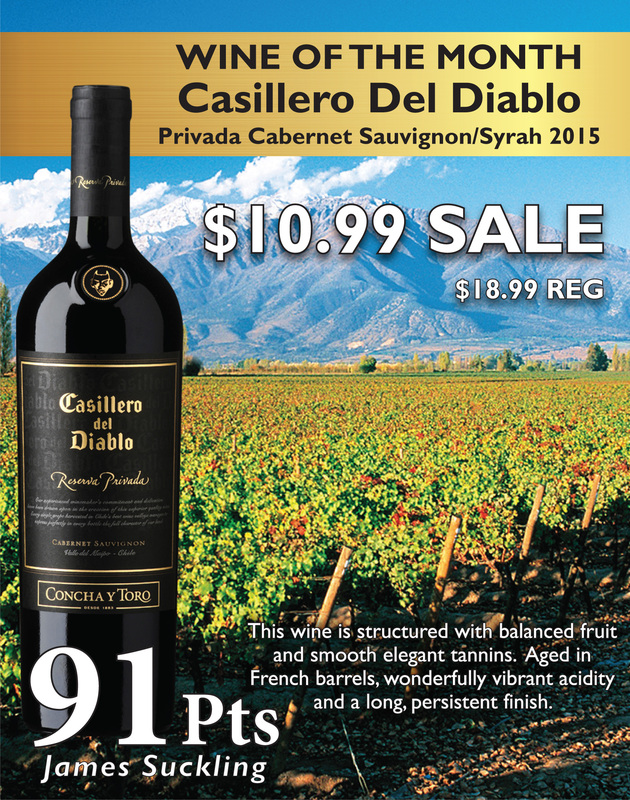 Casillero del Diablo Reserva Privada 2015 is aged in French oak barrels to enhance the complexity and concentration of each bottle. Elegant black currant notes accompanied by red cherry and plum mingled with vibrant fresh black fruit. The 14 months of aging lend complexity to the nose and highlight the smoky, vanilla and cedar aromas. This wine is structured and firm on the palate yet offers smooth, elegant tannins. The fruit is well balanced by the oak notes to sustain its vibrant acidity, which is joined by a long, persistent finish. This wine is excellent paired with different cuts of red meat. Ripe cheeses are equally recommended.